Need some inspiration? Want more information? In pursuit of a firmer foundation? Forget some specifics? How can you get the answers you want about the Catholic faith from reliable and knowledgeable experts? Word on Fire Catholic Ministries was developed by Bishop Robert Barron to proclaim the Gospel of Jesus Christ using contemporary forms of media. Bishop Barron initially put together a wonderful series called Catholicism that was shown originally on PBS but is now available on DVD. Using captivating videography and excellent commentary, he travels through the world exploring traditions and concepts that are uniquely Catholic. This inspirational series is highly praised by all. Jeff Cavins is a unique individual – he was raised Catholic but left the church as a teen. Became a Protestant minister only to be called back to the Catholic church by God! Drawing upon his years of bible study in the protestant church, Cavins has developed a unique Catholic Bible study series with some collaborators that combines Biblical history and Hebrew traditions in order to enhance the study of both the Old and New Testament books. He really puts it all together in an easy to understand video format, connecting the Old and New testaments in a way that reveal God’s plan from the beginning. To begin this Catholic Bible study program, check out the fantastic overview Bible study called The Great Adventure. BibleStudyforCatholics.com has locations of parishes that sponsor Jeff Cavins’ Bible study programs in the United States. Bible study is a great way to begin to understand Christianity and Catholicism. Many are done is small groups which can foster a friendly atmosphere where one is not afraid to ask questions or give answers! Catholic Radio is a great way to ease into or back into Catholicism. There are two main networks – EWTN Radio and Relevant Radio. There are many types of shows, ranging from inspirational talk shows to informational programming to politics. For a better understanding of the theology and traditions of Catholicism, we recommend Father John Riccardo’s show, Christ is the Answer. For answers to specific questions about the Catholic faith, we recommend the radio show Catholic Answers Live as well as their website Catholic.com. Find your local station, tune in, and listen. The answers you have been seeking may just be what others are asking! Look at your archdiocese and local parish websites! The Archdiocese of St. Paul & Minneapolis has a particularly well done website called "Rediscover". These pages contain so much information about the Catholic faith and traditions. The official Vatican website is definitely worth a visit especially if you want to dig into papal writings and follow Pope Francis' homilies and messages. There is lots to explore here! On the website for the National Conference of Catholic Bishops find the daily readings for Mass, the news releases, the complete Bible, the hierarchy of the American Catholic Church, prayers and devotions, and teachings of the Catholic Church to name a few things! The Catechism of the Catholic Church can be an overwhelming document to those new to the Catholic Church. St. Charles of Borromeo Catholic Church has put together a searchable Catechism that can help you find the answers you want about Catholicism without examining the index of an almost 900 page book. This is a valuable resource that saves time and advances inquiry! if you are on vacation or traveling for business. 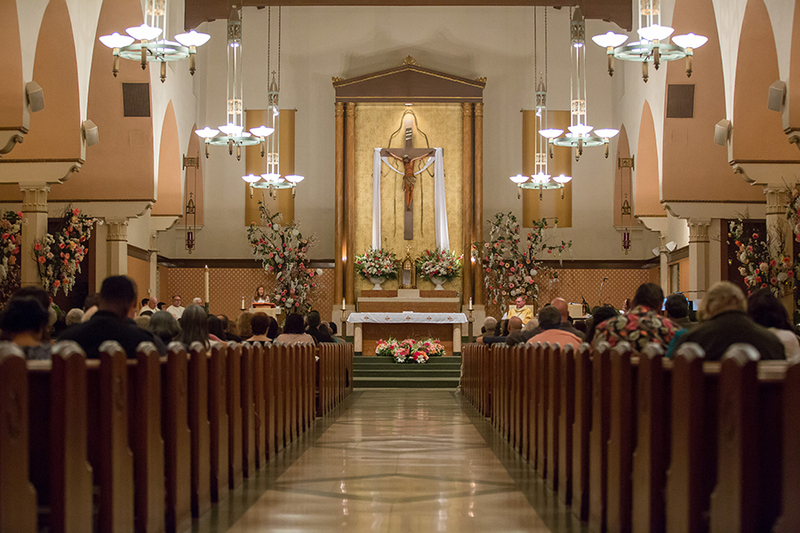 When going to mass away from your home parish, you will experience its constancy in new surroundings. Every church, cathedral, and basilica has a unique character worth exploring. The architecture, sacred art, music, homily, and local customs can be very different depending on the parish.